Adam Broomberg (born 1970, Johannesburg, South Africa) lives and and works between London and Berlin. He has collaborated with Oliver Chanarin (born 1971, London, UK) for over 20 years. They are professors of photography at the Hochschule für bildende Künste (HFBK) in Hamburg, Germany. Together they have had numerous solo exhibitions including the Hasselblad Center (2017), Centre for Contemporary Art Ujazdowski Castle, Warsaw (2015); Jumex Foundation, Mexico City (2014); Mostyn, Llandudno, UK (2014); Townhouse, Cairo (2010) and the Stedelijk Museum, Amsterdam (2006). Their participation in international group shows includes the Yokohama Trienniale (2017), Documenta, Kassel (2017), The British Art Show 8 (2015-2017), Conflict, Time, Photography at Tate Modern, London and Museum Folkwang, Essen (2015); Shanghai Biennale (2014); Museum of Modern Art, New York (2014); Tate Britain (2014), Mathaf Arab Museum of Modern Art, Doha (2013); Gwanju Biennale (2012) and the KW Institute for Contemporary Art, Berlin (2011). Their work is held in major public and private collections including Tate, MoMA, Yale, Stedelijk, the V&A, the Art Gallery of Ontario, Cleveland Museum of Art, and Baltimore Museum of Art. Major awards include the ICP Infinity Award (2014) for Holy Bible, and the Deutsche Börse Photography Prize (2013) for War Primer 2. " By Allan Sekula. Mack, 2016. 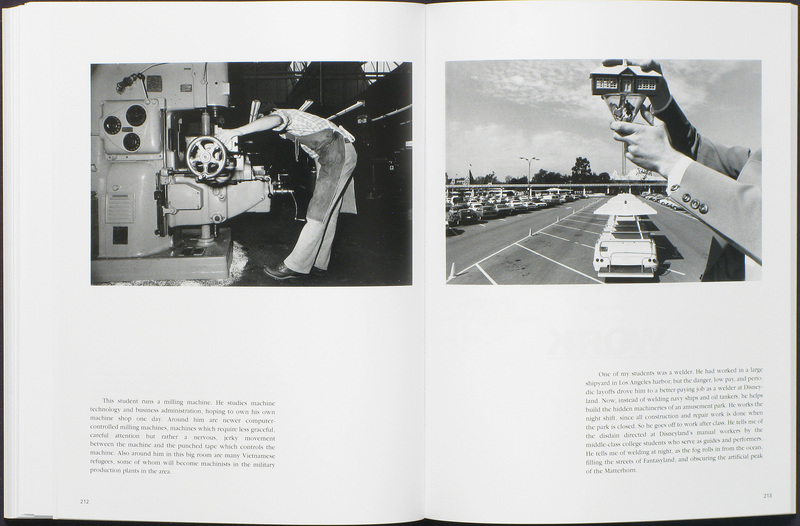 Long out of print, this seminal collection of essays and photographs by artist, theorist and filmmaker Allan Sekula was originally published by the Nova Scotia College of Art and Design in 1984. Sekula accurately engaged photography and writing to show the inextricable bond between labour and material culture, drawing deeply on Marxist theory to argue passionately for a collective model of progress. Sekula taught at California Institute of Arts (CalArts) from 1985 until his death in 2013, and from that insider's position he critiqued photography and the circumstances of its production and consumption, exposing what the medium failed to represent — women, labourers, minorities and the institutional structures that reinforce cultural biases. Sadly, more than ever, these are lessons we still need to remind ourselves of daily. This is an urgent book. 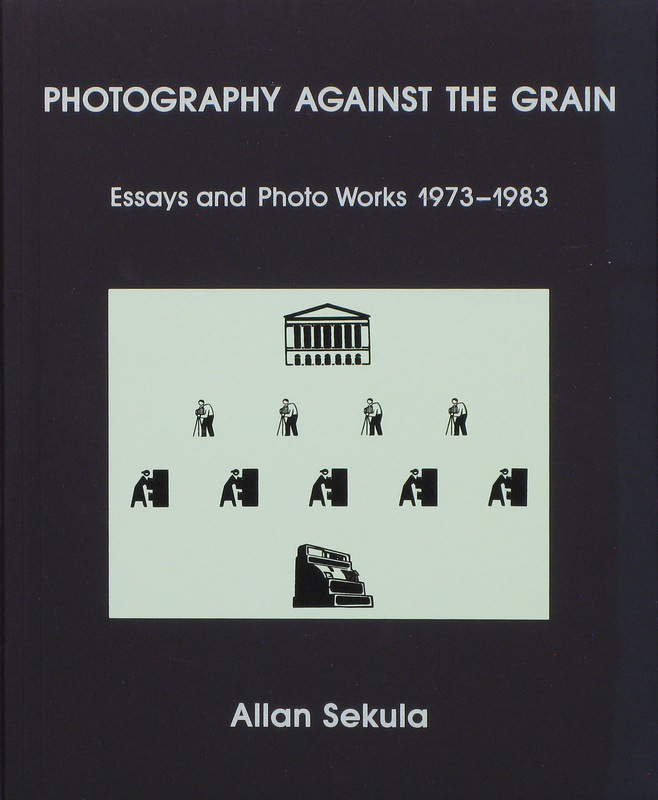 Photography Against the Grain: Essays and Photo Works, 1973-1983 By Allan Sekula. Mack, 2016. By Peter Funch. TBW Books, 2017. 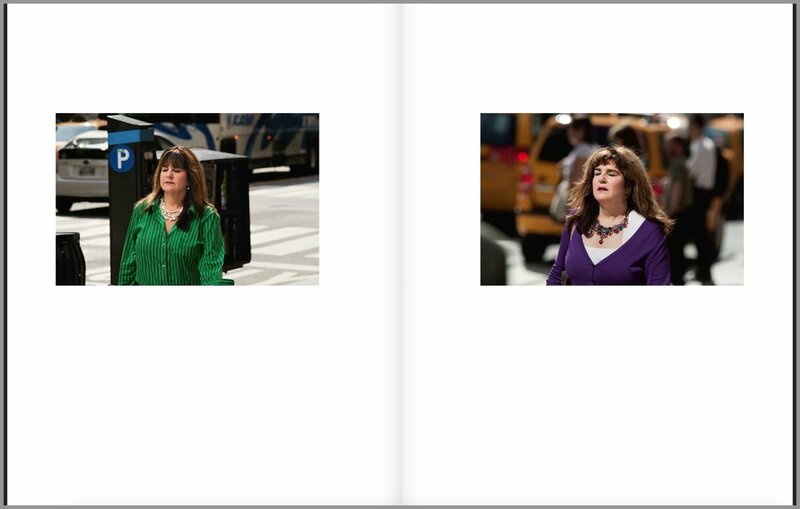 Peter Funch has photographed the same people on the same street corner for nine years. This book is a result of that labour. 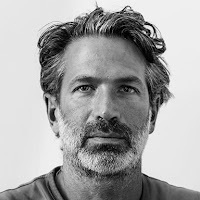 From 2007 to 2016, Danish photographer Peter Funch stood at the southern corner of 42nd Street and Vanderbilt Avenue in New York City between 8:30 am and 9:30 am taking photographs of the commuters he saw. Inevitably the same people would pass in front of his lense over time. Funch presents these diptychs in the simplest way. By highlighting both the differences and the similarities, Funch not only trains my eye to look and to look again for the small daily rituals that make people’s lives manageable, meaningful, and profoundly human. I am made to look carefully and, instead of judge, to empathize. Although so simple and for one of the first times in many years I was confronted by a book that made me look (and love) images again, I feel a profound literary undercurrent in the book. For me, it brings up Fernando Pessoa and his Book of Disquiet, Perec and Life: A User’s Manual. I could go on… what I mean is that these images, like these books, focus on the smallest of life’s details as the essential matter that gets us through our own very private, alienated lives. It is rare for photography to capture that. Thank you for making me enjoy looking and to feel empathy again. 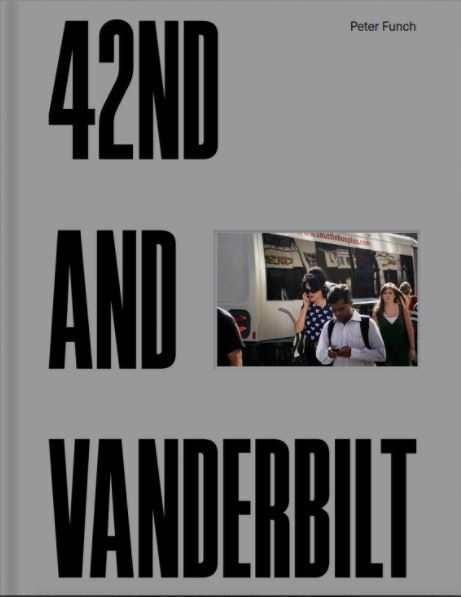 42nd and Vanderbilt: New York Photography By Peter Funch. TBW Books, 2017. In Most Tides An Island By Nicholas Muellner. Self Publish Be Happy, 2017. My first collision with Nicholas’ books was in an image. 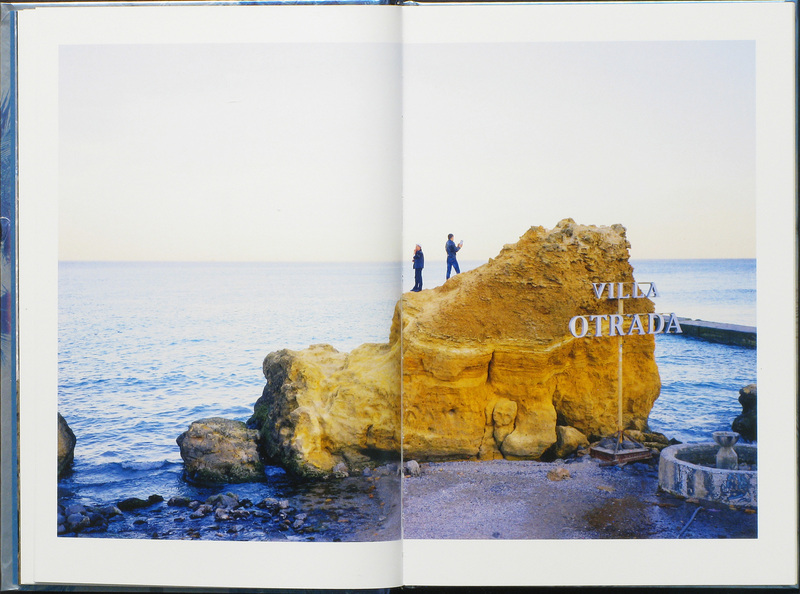 I photographed my daughter asleep in the midday sun in Sicily with Nicholas’ book The Photograph Commands Indifference in front of her. The joke was a private one but one I know he’d enjoy. This time the experience was much more profound. In Nicholas Muellner’s most recent book we get a glimpse (in both words and images) of contemporary post-Soviet (mostly closeted) queer life. What struck me so powerfully was how both the words and images were a meditation on solitude and its relationship to desire and real human contact in a strange digital world. And while I’m forced to swing between the images and the text in a clumsy and difficult way, I’m forced to think about the nature of photography and words in which both function normally so easily in our digital world consumed by loneliness, longing, but also hope. Apparently, most bookstores don’t know where to put the book. This is testament to how bravely Nicholas’ has challenged both photographic and literary conventions, collapsing portraiture and landscape, documentary and fiction, metaphor and description into the artist’s distinct form of hybrid narrative that moves me. 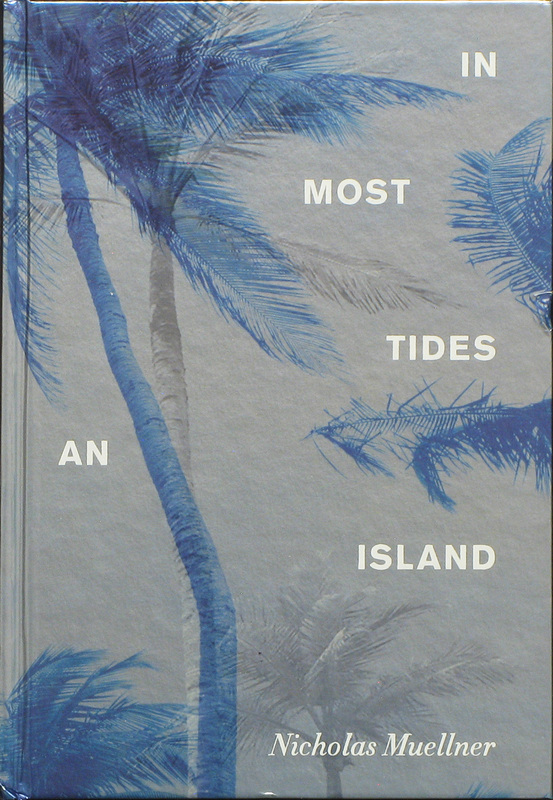 In Most Tides An Island By Nicholas Muellner. Self Publish Be Happy, 2017.